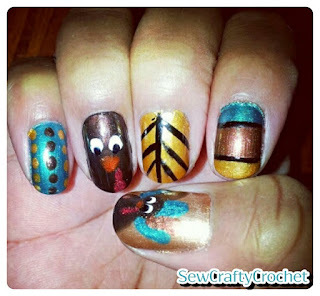 I like to paint my nails for special holidays, so I recently painted my nails with fall colors and Thanksgiving turkeys. 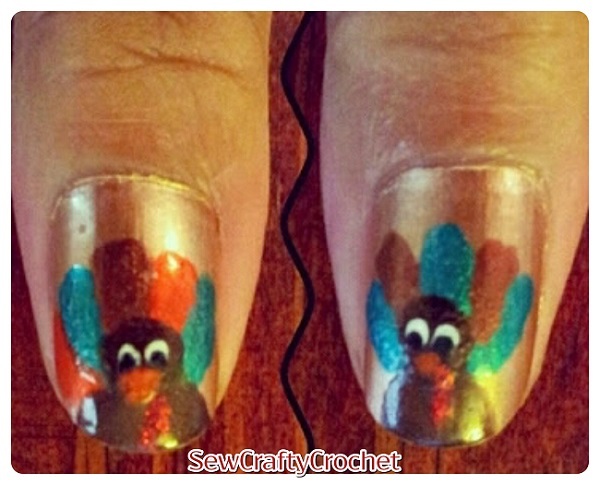 I'd never drawn or painted a turkey before, so I wasn't sure that I'd be able to pull it off, but after looking at some other Thanksgiving nails designs that featured turkeys, I figured out that I could do it! 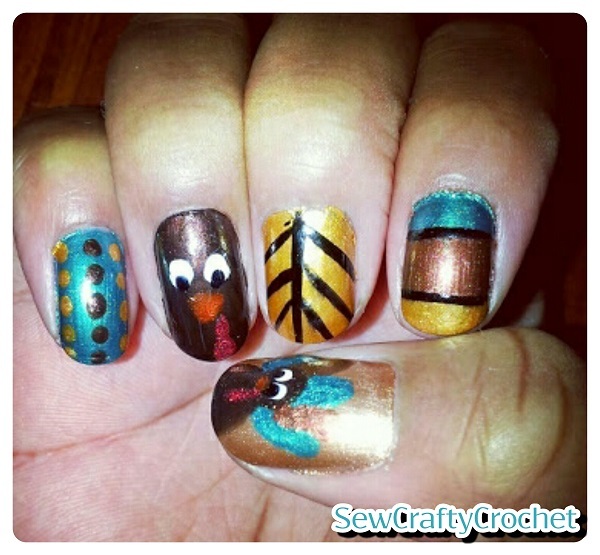 I don't have any nail art brushes, so I used my dotting tools to create the turkeys. 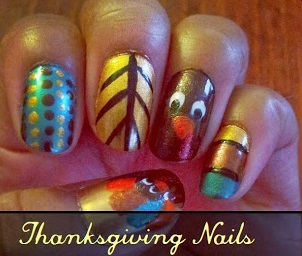 I enjoy painting my nails, but I hate waiting for the paint to dry! 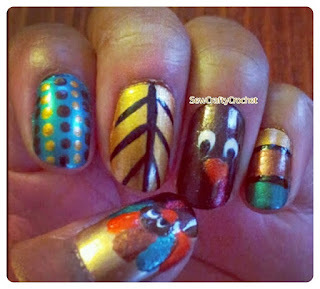 The polishes I used to create these nail designs were Rush's Nuke (dark brown), China Glaze's White on White, Wet 'N Wild's Caribbean Frost (teal), Salon Perfect's Ruby Sparkle, Cover Girl's Cappuccino, Nina Ultra Pro's Evening Sun, and Orly's Glitz (gold), and black Kiss Nail Art Paint.